Simone Genovese | Climber, Thinker, Engineer, Nomad. Generalist in life, specialist in action. 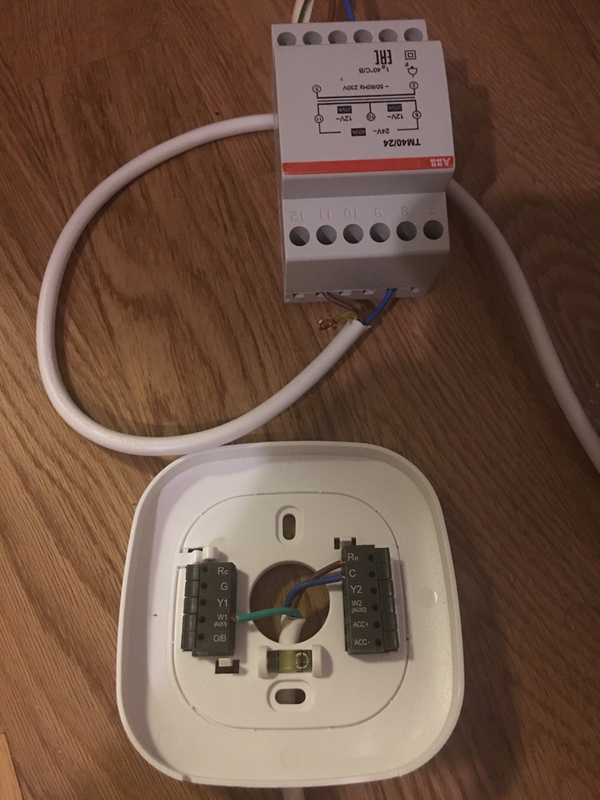 In the previous post we have created the IR Controller for the Samsung AC AR7000, so now it’s time to connect our Ecobee3 (modded for EU 220V Standard) to our Samsung AC. Of course we need to add a new Relays to our electric panel and connect it to the Y1 pin in the ECOBEE plug panel. 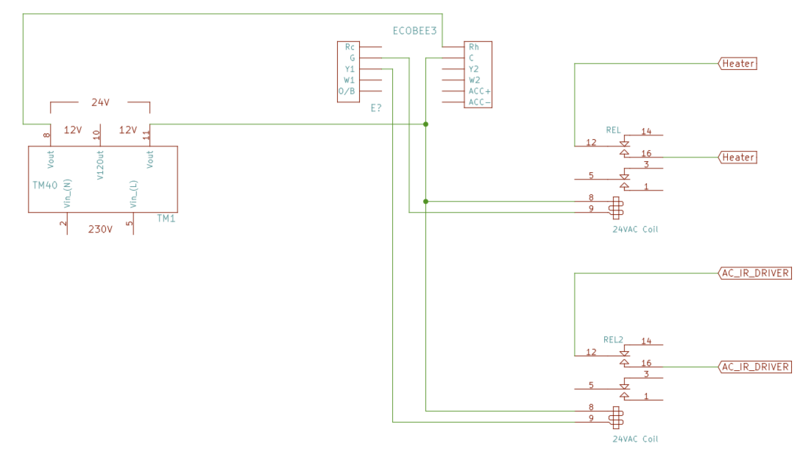 Follow next schematic that is an improvement of first installation. Connecting the Ecobee to the IR controller now is really simple! 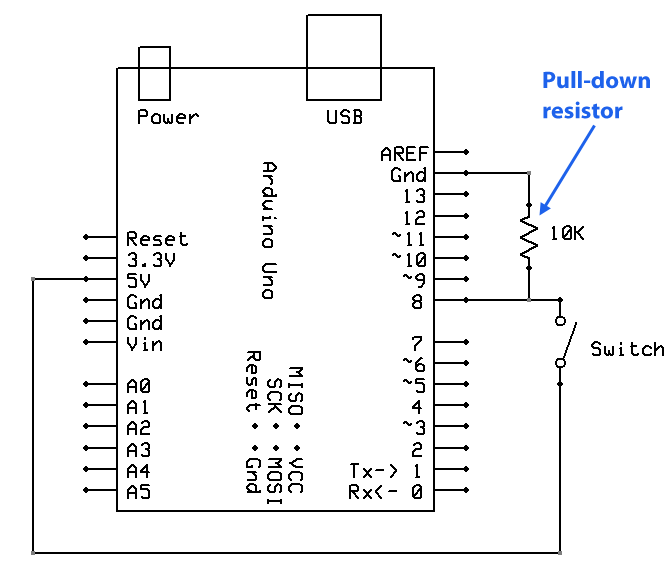 Remove just the switch (keep the pull-down resistor) and connect instead the two pins AC_IR_DRIVER. and configure manually to add Y1 and Y2 pin usage. Test it by Main Menu > Settings > Installation Settings > Equipment > AC. The thermostat will close the circuit every time he want to cool the apartment, closing the circuit is exactly like pushing the switch button on the IR Controller. It will trigger a IR ON signal. 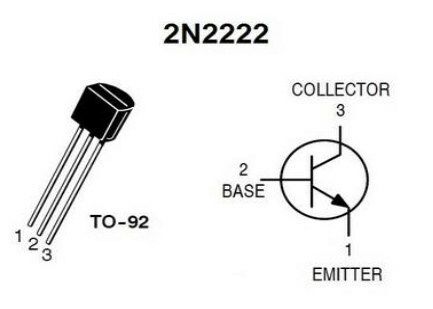 Once the thermostat want to stop, it will open the circuit (like releasing the button) and a IR OFF signal will be triggered. Let me know if it works also for you. See you to the next post. I know… I’ve already one project to control my AC by my thermostat, but Samsung smart is not so open protocol and the work is going slowly but summer is already here!!!! So I’ve already setup my thermostat to control my AC by IR, but let’s proceed by steps and create the hardware to communicate to turn on and off the AC. 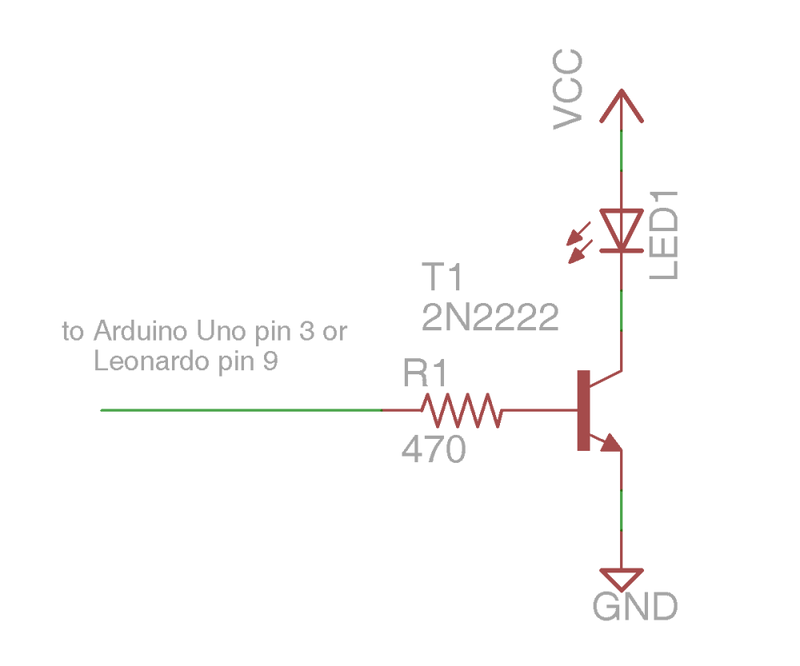 Connect the IR led to the transistor to the Pin 3 of the Arduino following that scheme. 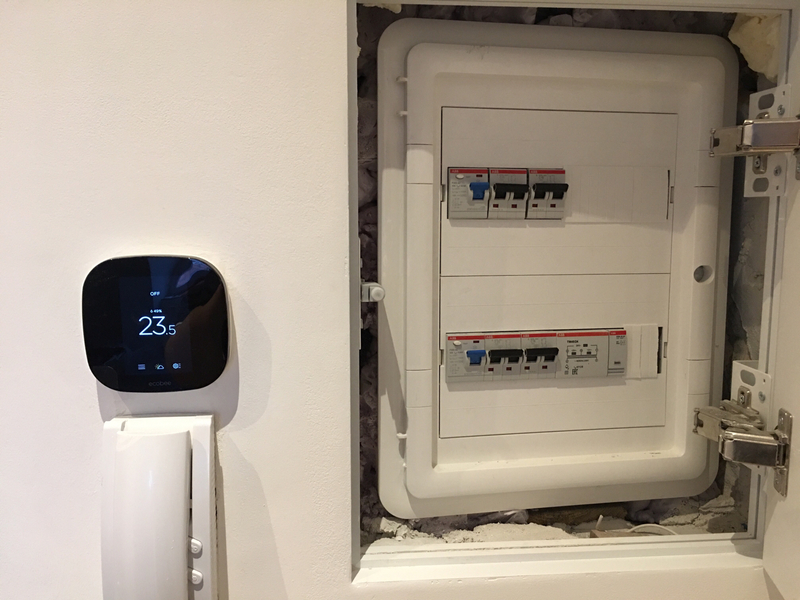 The switch is temporary and will be substituted by the Ecobee contacts but for testing purposes is rather easy to implement and proof it’s working. Test your new controller if drive correctly your AC. Next step is to connect it to the Ecobee thermostat. Not so many good smart thermostat are available (compatible) in Europe… Tado or netatmo are the only two that works with our environments natively, but what if I want to use a top level one? The answer is simple and in the next lines we will figure out how to adapt the 24V AC US Thermostat Standard to 230V European Standard. Then Turn On and Off and should listen the relay “Clack! !” sound and the Heater should turn on/off. 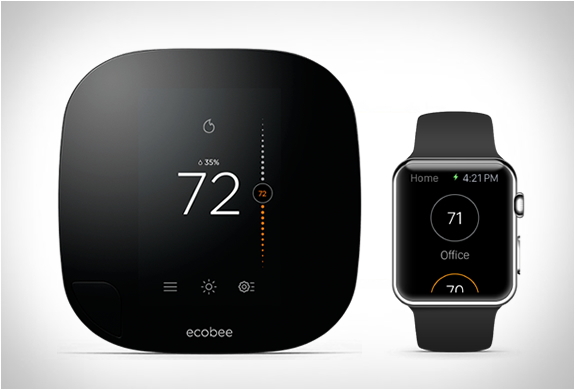 You can now configure your ecobee3 as you prefer following the manual. 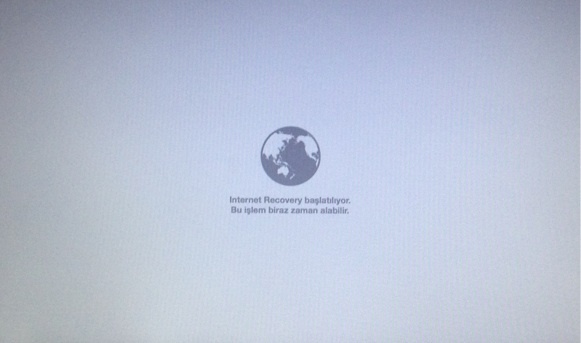 Se possedete un Mac recente, potete usare OS X Recovery per reinstallare OS X.
Accendi il Mac (tieni conto che da adesso servirà 1:30 ore circa per riavere la macchina funzionante se la tua connessione a Internet è buona). Immediatamente dopo il suono di startup, tenete premuti i tasti Command (⌘) e R sulla tastiera. Rilasciate i tasti dopo che il logo Apple appare. Connettere il Mac alla rete ethernet o alla wifi tramite l’icona nella barra dei menu. 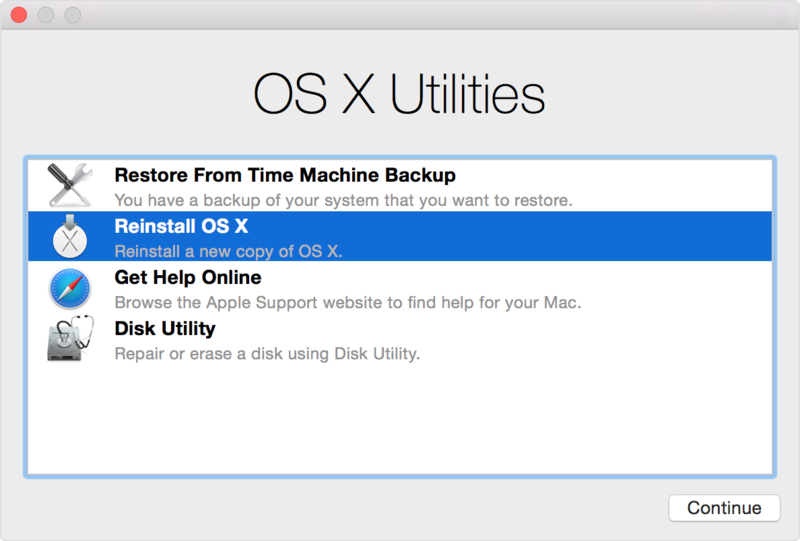 Dopo che il menu Recovery appare, selezionare l’opzione per Reinstall OS X.
Seguire le istruzioni e selezionare come disco di installazione Macintosh SSD e installare OS X.
Questa procedura reinstallerà la stessa versione di OS X che era precedentemente installata sulla macchina. Tenere a portata di mano l’apple ID e la password perché verranno richiesti. Setup iCloud Keychain on OS X Mavericks. Verrà richiesto in che modo ottenere l’autorizzazione. Selezionare tramite altro device. A questo punto prendete in mano il vostro iPhone perché arriverà un popup con una richiesta di autorizzazione da confermare. A questo punto non dovrebbe esserci molta altra roba e il mac dovrebbe avviarsi con pochi passaggi ancora. 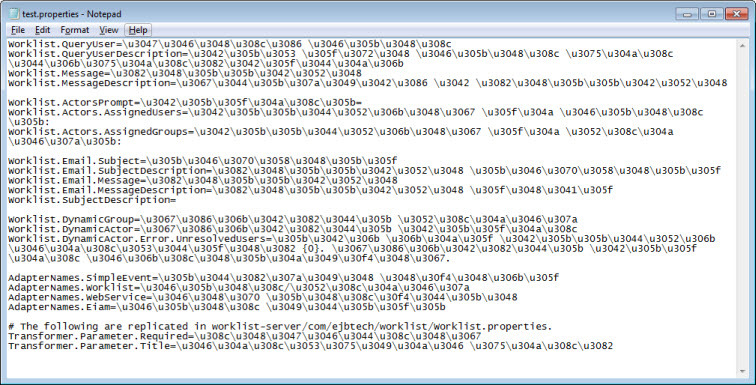 The Java compiler and other Java tools can only process files which contain Latin-1 and/or Unicode-encoded (\udddd notation) characters. Climber, Thinker, Engineer, Nomad. Generalist in life, specialist in action.